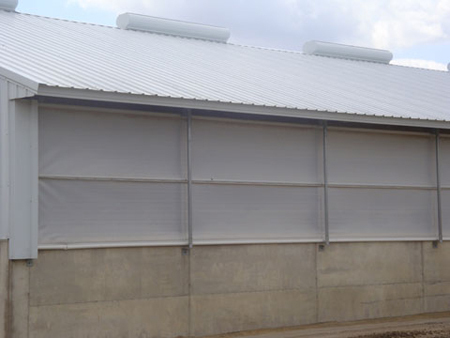 Our curtain systems are low maintenance and easy to operate. Our set up crew offers quick and speedy installation to get you up and running. Adjust your curtains with no strain anytime you choose, night or day. Your back will thank you. 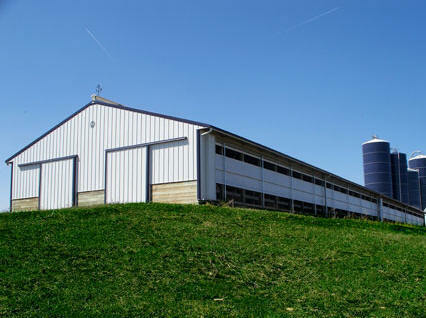 Our goal is to provide unbeatable barn curtain systems and the service to back that up to help you succeed. 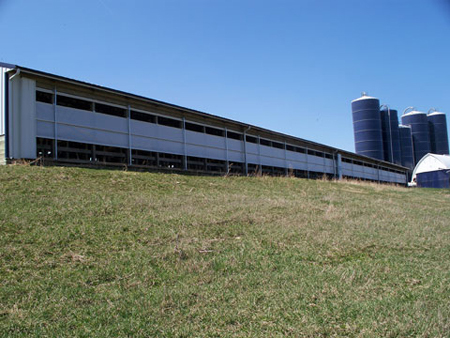 We understand that cattle comfort is critical to good herd health and production. 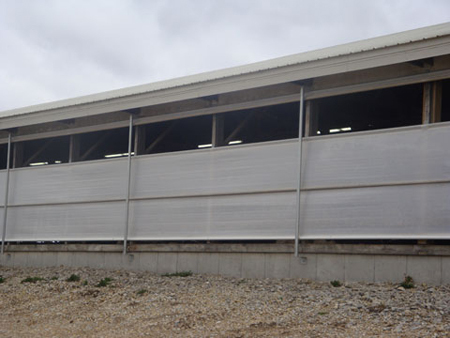 Roll-O Matic barn curtain systems have set the standard for others in the industry to try to follow. 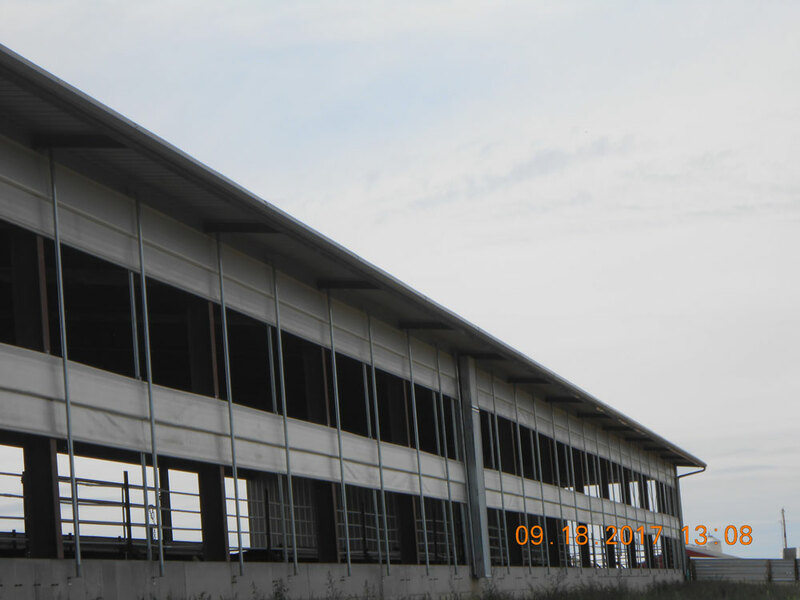 We start with high quality materials and a patented operating design. 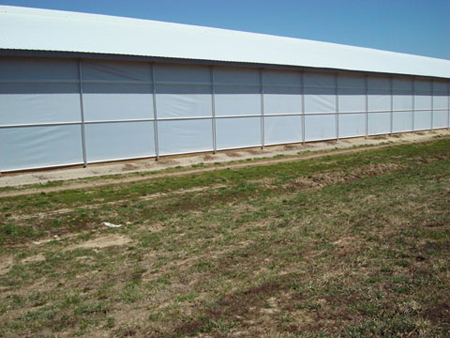 We follow that with service after the sale to help ensure that Roll-O-Matic curtains are the top curtain in the industry and the farmers curtain of choice. 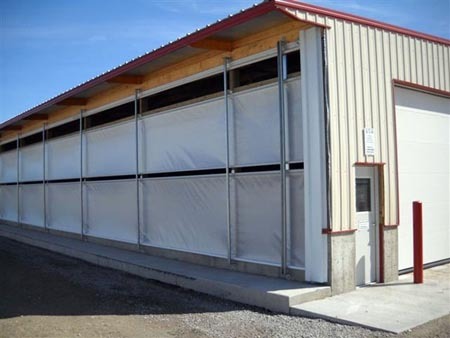 If you want a curtain system that has combined rugged durability, simple operation and a low maintenance design then Roll-O-Matic curtains are for you. 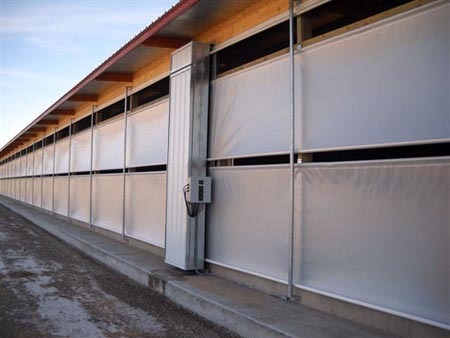 Our curtain systems are designed to stand up to heavy rain or snow, strong winds and the many other seasonal variations of the weather. The curtains are also resistant to bacteria and fungus. 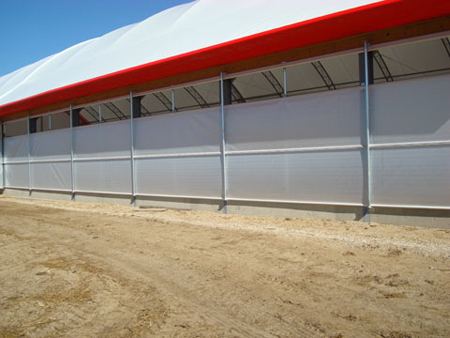 Roll-O-Matic curtain systems were designed by a farmer for the farmer. 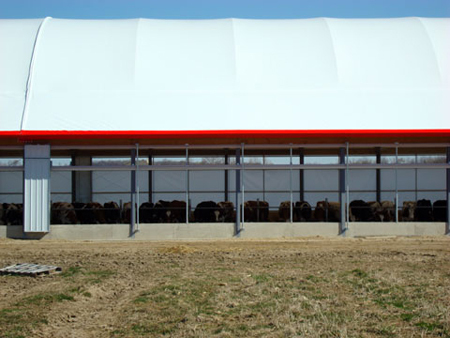 Durability, ease of use, low maintenance are qualities all farmers can appreciate. 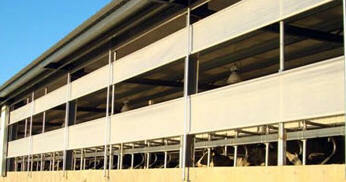 We at Roll-O-Matic believe that complete satisfaction is only possible with ongoing support. Whether you have a technical question or simply a comment, we are available to assist you. We believe this business demands personal attention and service. We know every job is unique and we are here to help you when you need us – from the initial design to service after the sale. Why is it important that curtains be easy to adjust? Your time is valuable and you don’t want to waste it fighting curtains that do not operate well. Anything that is difficult to operate will not be adjusted as often as it should – or even worse, only gets adjusted twice a year. 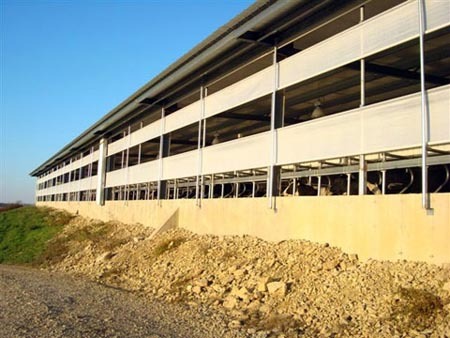 Livestock comfort is critical to profitability – let us help you keep your livestock comfortable in changing weather conditions. 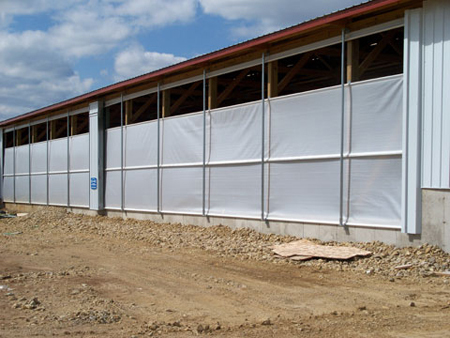 Roll-O-Matic curtains can be easily adjusted as often and whenever you want. 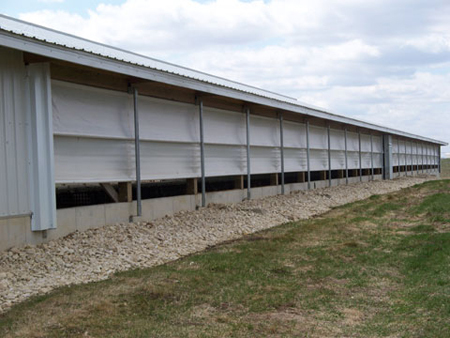 Have you ever seen barn curtains lying on the ground or on the side wall? Curtains that lie on the ground or bunch up at the top of the side wall invite rodent infestation. Roll-O-Matic curtains roll up tightly and neatly. 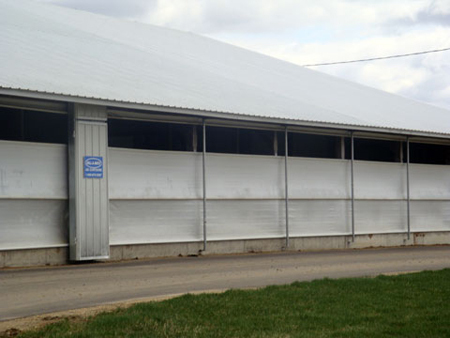 The neat roll keeps your barn looking clean and does not allow for rodents to nest and chew holes in the curtains during the summer months. Get the full value of air quality control at the touch of a button. We offer temperature controlled systems, electric systems with motors and drives and manual systems that are operated using a standard drill. Adjust your curtains with no strain anytime you choose, night or day. Your back will thank you. Our DRI automated curtain systems are considered by the industry to be the highest quality and the most innovative curtain system on the market today. There are lots of curtain system options out there like 3 hem, 5 hem, 6 hem, 1 piece, 2 piece or 3 piece. 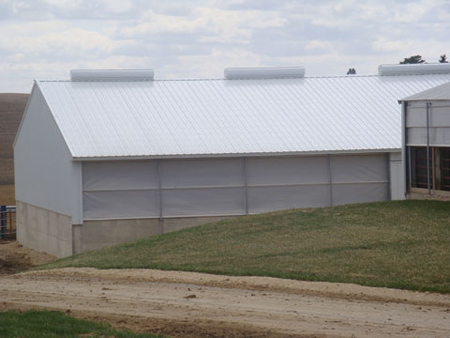 For more information on selecting the right curtain system for your facility please see “choosing the right system for you” See Video Links to see the curtains in operation and other helpful videos. 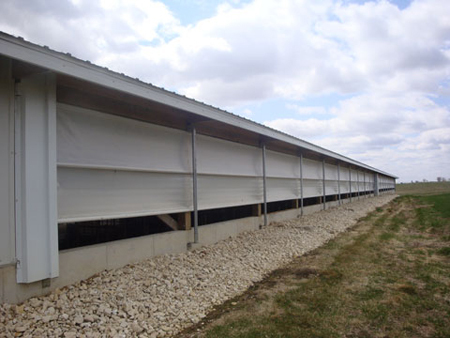 If you would like to learn more about Roll-O-Matic barn curtain systems or would like a free estimate, please contact us or click the free quote button.